A recent telemedicine industry benchmark survey published by REACH Health provides great insight into where the industry has been and where it is headed. The survey was conducted among U.S. healthcare executives, physicians, nurses and other professionals. Organizations represented in the survey were diverse and included representatives from organizations with a $1 billion or more in revenue (about a third of respondents), and almost half with revenues under $50 million. Telemedicine is evolving from a specialty offering to a mainstream service. More than half of respondents consider telemedicine to be a top or high priority. Patient-oriented objectives—including improving patient outcomes, improving patient convenience, and increasing patient engagement and satisfaction—are the three top objectives for telemedicine programs. There is an emphasis on better leveraging specialists with a large majority of respondents ranking this a top or high priority. Nearly half of hospital and integrated delivery network respondents who began their telemedicine programs/initiatives with a departmental approach are transitioning to an enterprise approach. The maturity of telemedicine programs varies widely among service lines and settings of care. Generally, settings requiring highly specialized treatment continue to be more mature than those requiring generalized treatment. 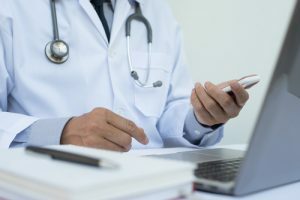 Telemedicine technology, reporting and analytics, as well as in-house physicians are viewed as highly important to the success of a program, whereas outsourced physician coverage services less so.